Continuing on from the previous post, about the Golan and Bet Shean Valley, we woke up early in the morning in Kfar Rupin. Our adventures began after breakfast when we headed over to the fields to check the rodents traps. 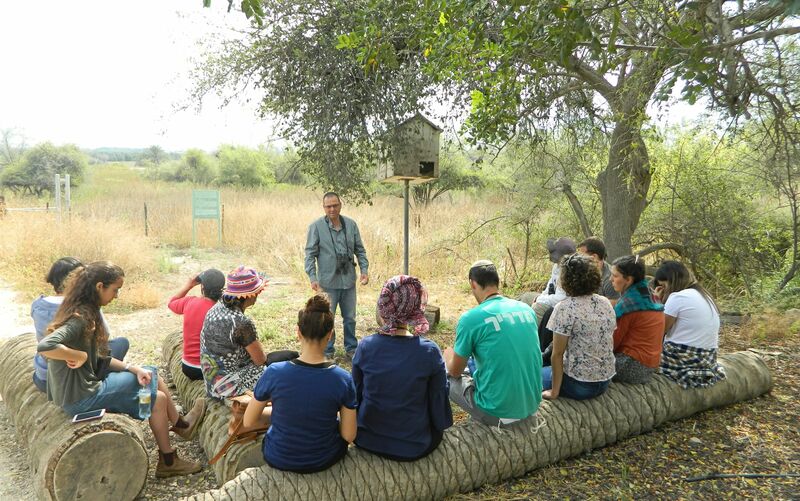 Our guide, Dr Moshe Natan, had checked them at dawn, and had released one of the two trapped animals – a hedgehog. The other trapped animal was none other than a common mouse, which leaped to his freedom as soon as the trap was opened. Packing up, we boarded our tour bus to be driven over to the next site of the day: Tel Saharon. 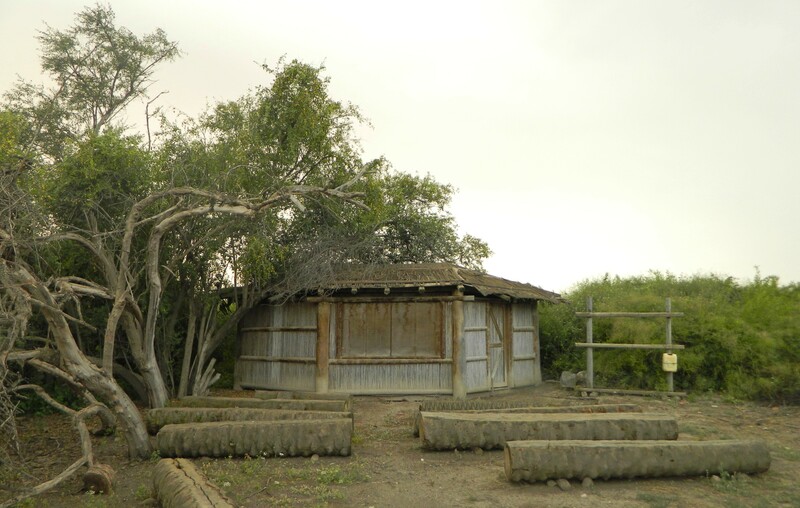 Located just a few minutes outside of Kfar Rupin, the area we were headed to was right beside the old bird ringing station. Looking around, we were able to make out several common species, as well as three black kites swirling over the nearby fields. 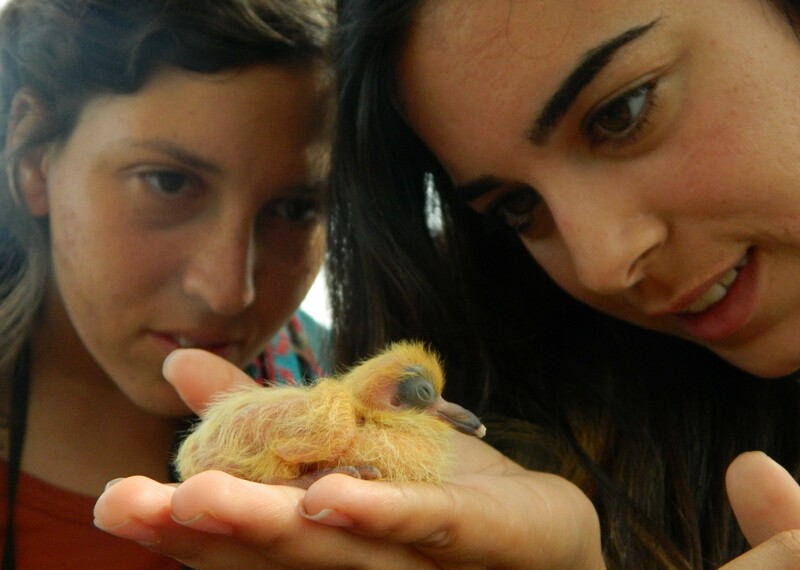 We sat down beside a nesting box and learned about the pigeon chicks hidden inside. The sight of a booted eagle overhead excited us, especially due to the fact that it might be the same one we saw at the very beginning of the previous day. Flying alongside it was a steppe buzzard, a rather common bird of prey in the dry season. 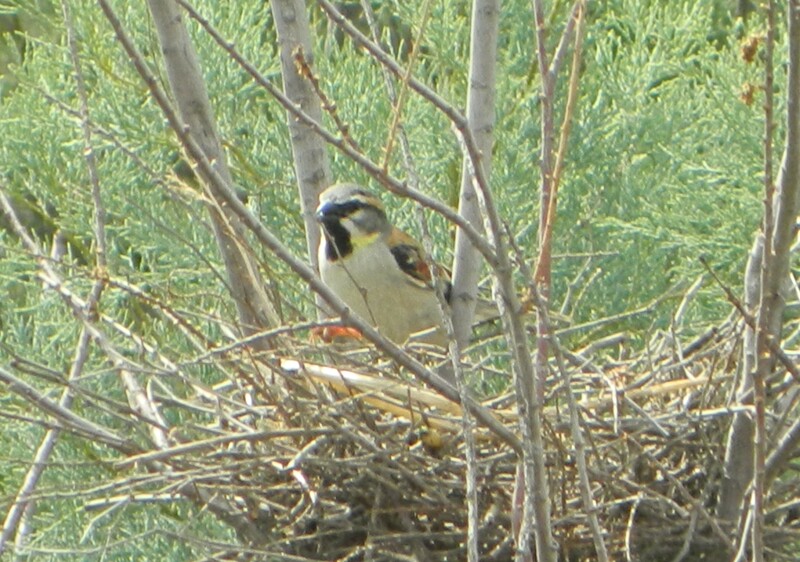 Closer to us, I noticed a small bird dancing around a nest, singing loudly. With the aid of my binoculars and camera I was able to identify it at a male Dead Sea sparrow – my very first time seeing this species. As fascinating as we found the energetic little sparrow, we had more to explore, and set off to do just that. 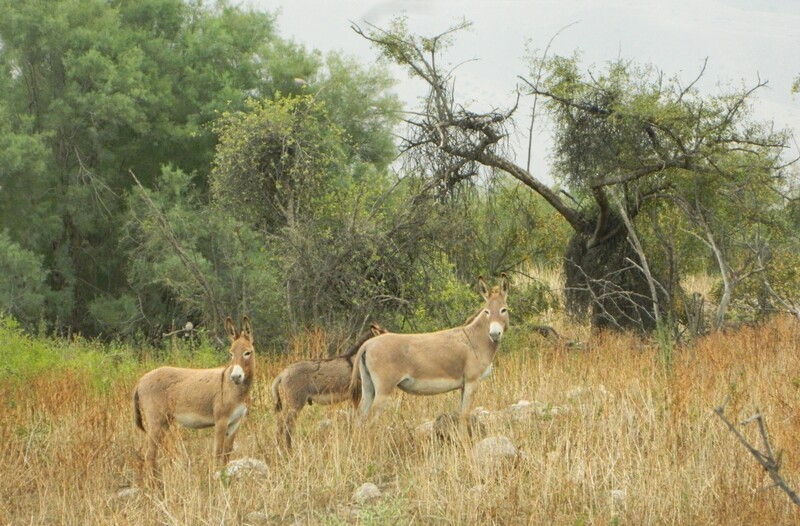 Climbing the gentle elevation, we found a herd of donkeys, a single golden jackal that slinked off as we approached. There wasn’t much to see on the tel, but we did venture down to the spring which provided a small amount of water that gathered in a nearby pool. A quick look at the old ringing station, which looks like it could be revitalised as a cool bar, and we were off to the next site. Traveling only few kilometres away, our guide stopped the bus at a particular spot beside large alfalfa fields. There, at the edge of the field, was a pair of spur-winged lapwings and a hidden nest. 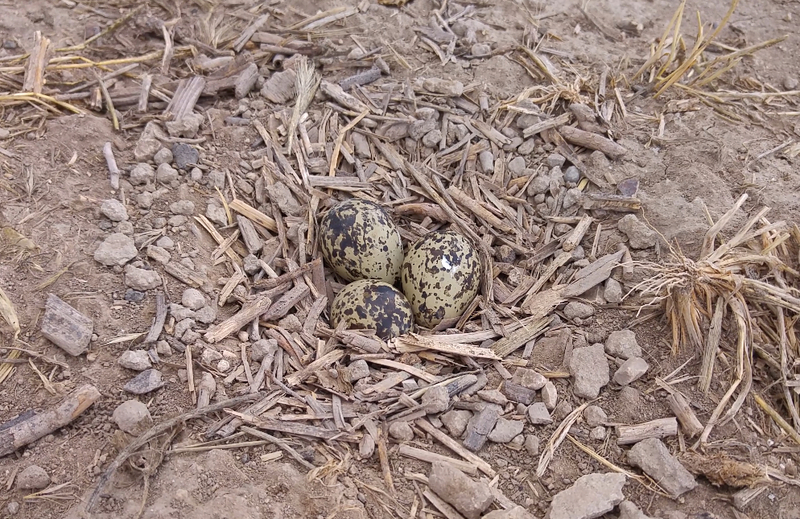 Laying a small clutch of eggs in a scraped out depression on the bare ground, lapwing nests are incredibly hard to locate. Even the eggs themselves are spotted in a way that provides excellent camouflage. But, all this was no match for the experienced eyes of our guide; we stood around and studied the nest, the parents watching from a safe distance. Before we left the nest with its three mottled eggs we spotted a mountain gazelle quite a distance away in the alfalfa field. The tour bus then took us to our next destination, located quite a ways away: Nachal Alexander. 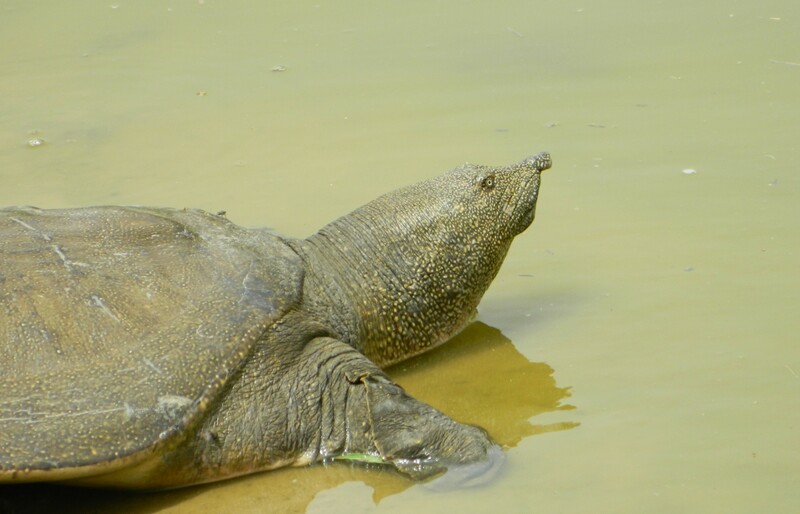 We were heading over to see the famous African softshell turtles which have made the polluted stream famous as well. Disembarking at the stream, we walked over and gazed at the large turtles with their funny faces. Some time later we paid a short visit to the nearby sandy breeding grounds of these turtles, fenced off to ensure the safety of the next generations. Another short drive and we were examining a tiny cave across the road from Bitan Aharon, a tiny moshav in the Hefer Valley. 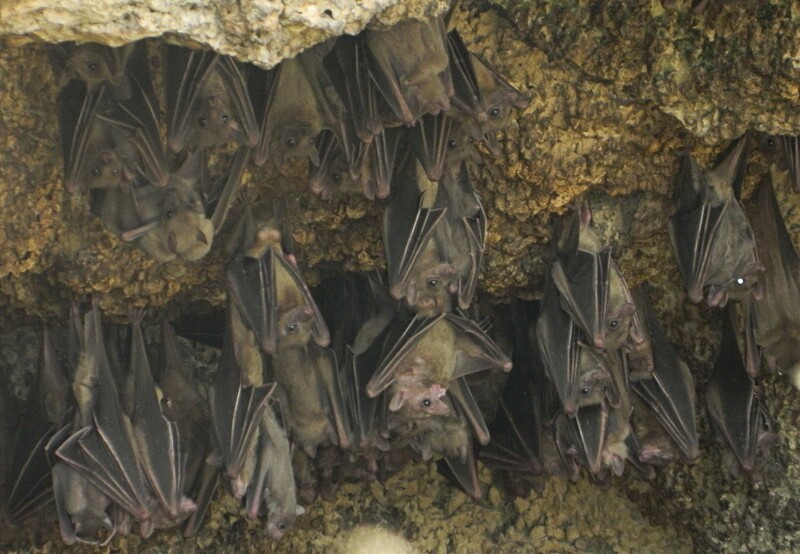 A colony of Egyptian fruit bats had made this cave their home; one of the bats looking particularly cute with its baby clinging to its stomach fur. Taking a break from wildlife, we had a group lunch at one of the Hummus Eliyahu branches that have opened up all over Israel in the past couple years. I enjoyed a delicious bowl of creamy hummus and tehina, eaten with warm pita and a garlic-lemon sauce. 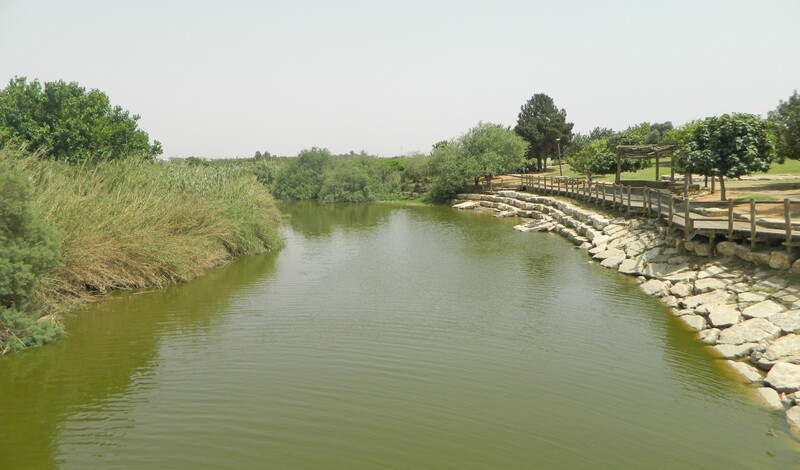 When we were satisfied we continued, heading over to the lush wetlands of Agamon Hefer. At the site, we crossed over Nachal Alexander and gathered at a blind looking out at the lake. We were joined by a group of elderly folks, including a rather spritely 93-year-old woman who began to give us life lessons. She told us about how she was one of the Children of Tehran, fleeing war-ravaged Europe after the Holocaust, and how we should live our lives to the fullest. While she was talking I couldn’t help but notice a marsh harrier and short-toed eagle fly by. Continuing on the circular trail around the lake, we stopped at the next blind and spied on some pied kingfishers diving for fish. 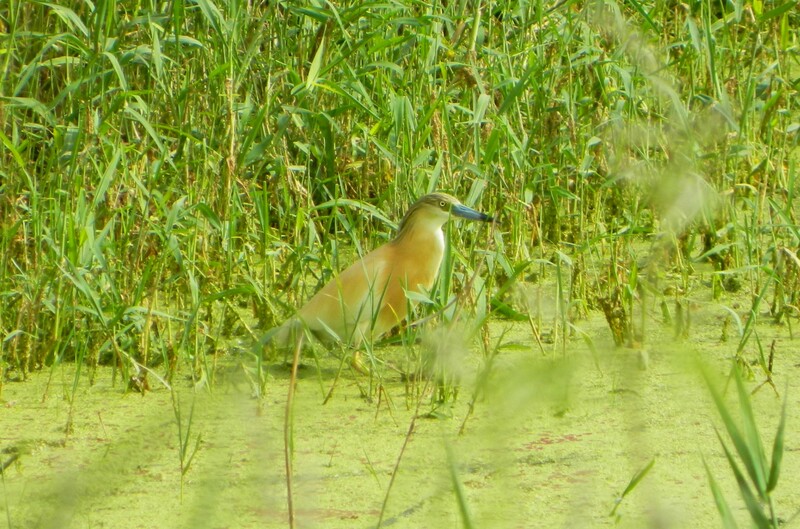 A squacco heron fished silently from a small marsh area right beside us, and the sounds of European bee-eaters filled the air above us as we moved on. Walking a hundred feet or so behind the group, I noticed a purple heron stalking its way through the tall grass, and a black-shouldered kite perched on a power line. Examining a particularly marshy area, our guide swiftly pointed out an adult little bittern sneaking its way around, seeking out tasty fish. I had only seen my first bittern two weeks prior, at the Hula Valley, and it had been a juvenile, so this was a cool sighting. Another purple heron was hiding nearly flawlessly in the tall grasses on the banks, making quite a challenge to spot. 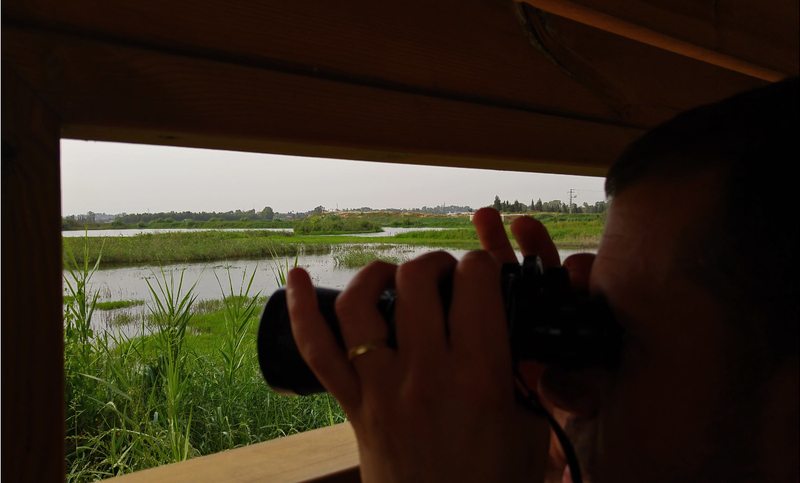 Twenty minutes or so later, with the help of Dr Natan and my Collins birding app, I was able to audibly and visibly identify my very first reed warbler – the fourth and final new bird species for the trip. On an open stretch of wooden boardwalk we watched common swifts dipping down in their fast and erratic flight for quick drinks from the refreshing lake water. 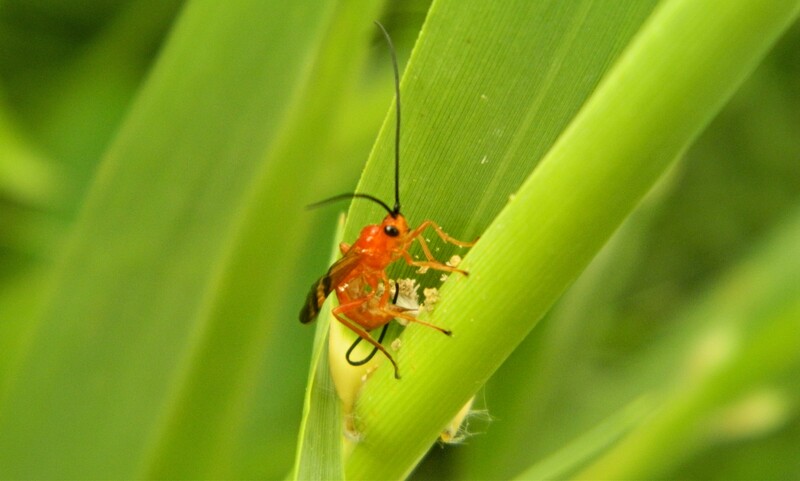 Then, as I was taking pictures of some tiny Middle East tree frogs that someone in our group had found, I discovered a parasitic wasp laying eggs in the body of an unsuspecting host. The trip came to an end when we boarded our tour bus for the final time, taking the long drive back to Givat Shmuel. In summary, a great two-day trip comprised of many different habitats and, best of all, four new bird species to add to my list.